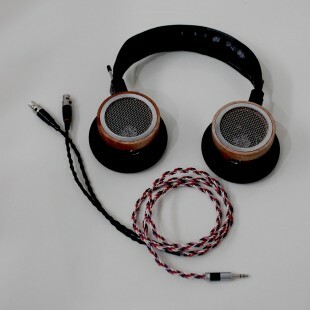 Incoming Grado custom mod based on SR80i, it is prelove item but some parts is new condition. The base driver uses SR80i covered with rare cup model. The cup produce by Gamja Labs and I was selling them during 2013 to 2015. The woody cup uses Indonesian Angsana Wood. Actually, the cup I love most because it looks more exclusive with its wide glossy metal rims and makes the inside chamber is more open but I don’t have any issue for the sound impact. The custom cable uses Gotham cables with mini XLR connector with black sleeve on the Y Cable and Abnormal Rhodium 3.5mm hi grade plug. The band uses black leather with comfortable cushion. Gimbal and rodblock use the Grado default. What about the sound signature ? 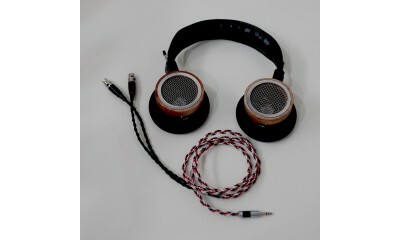 You won’t find the SR80i original character, it is totally change but still you will feel the Grado taste. It’s warmer than the default, sparkle still with gentle treble. The cans is more fun that the default, bass is better in both quantity and quality. Mid/Vocal is solid with good positioning. Overall technical aspects has improvement and enjoyable for long listening. What I said above is in my subjective opinion but I’ve tried as honest as possible. How I ship the headphone ?.... I will dissamble the headphone to minimize cracks, broken and other negative things. Wrapped securely with proper bubble wrap to protect inside the box.